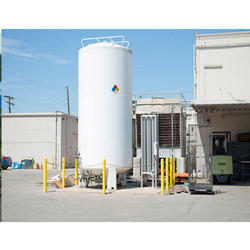 We are a leading OEM Manufacturer of co2 storage tank, liquid nitrogen tanks, dry ice box and surge tank from Delhi, India. 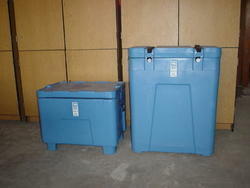 PU Insulated with fiber glass body these storage boxes ensure minimal evaporation. 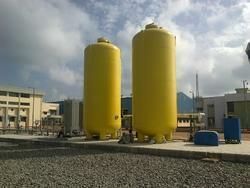 We manufacture Surge tanks for Water pipeline, Desalination plants, Crude oil pipe lines and other applications. 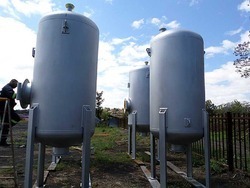 Horizontal and vertical types are provided.These tanks are Diaphragm type or Air pressure type with compressor . Orifice plates, butter fly valves, Level instruments, pipeline etc. are provided as required .